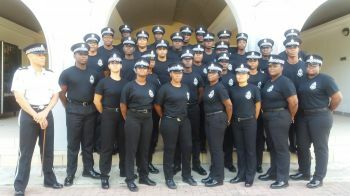 ROAD TOWN, Tortola, VI - It is a year overdue, but the Royal Virgin Islands Police Force (RVIPF) is now in position to host the Passing Out Ceremony for the 2017 recruits. The brief ceremony to be held at the Queen Elizabeth Park on Thursday, October 4, 2018, signifies the successful end to the recruits’ six month initial police training. The event, which was planned for September of last year, had to be postponed because the passage of Hurricanes Irma and Maria. Rescheduling was further delayed until all the recruits and their training instructors were available. 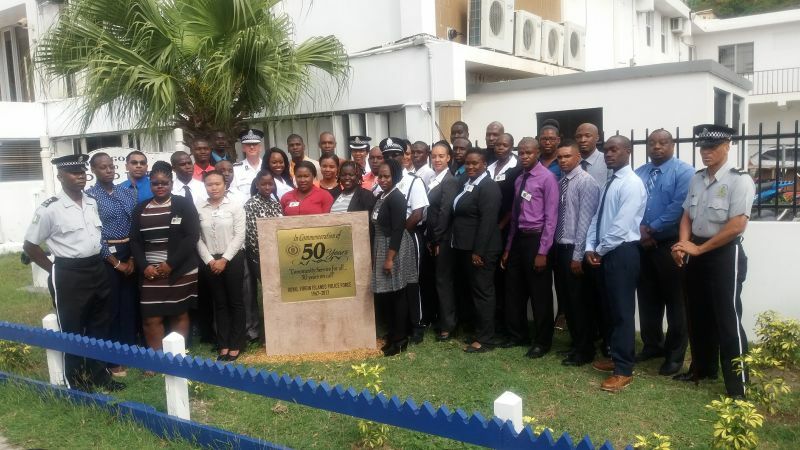 Deputy Commissioner Alwin James noted that the RVIPF was very fortunate to have had the new recruits fully trained and on hand in the immediate aftermath of the hurricanes. Their service was invaluable to the Force in one of its greatest times of need, he added. In addition to this being the largest recruitment class of the RVIPF, the Deputy Commissioner shared a number ofother notable firsts. “Of the 27 recruits, the largest class ever, 40 percent are Virgin Islanders or Belongers. The RVIPF also recruited its first officer from the Philippines along with three officers from the Dominican Republic. In addition to the officers sworn in March last year, there were also four auxillary officers,” the DCP said. His Excellency the Governor and other dignitaries are expected to attend the ceremony. Remember that police recruits apply voluntarily -- they aren't conscripted. The number of Virgin Islanders and Belongers will only increase when more apply. @yo lie: it should be 100% like most jurisdictions but it’s not fault of the police hierarchy. The fact is most locals are not interested in policing as a career. Why are you making such a post to disturb the Deputy Commisioner Tranquility? Let the DCP relax and keep focus on the job at hand. Oh great.. more corrupt officers. The public is invited, at what time?? The sad reality is that the same deputy and his minions throughout senior management discriminate against whom they want to be selected for recruits and promotions. The RVIPF is now composed primarily of persons not having went to school here and not inclined to learn our culture. Instead the force is predominantly made up of Dominica, St. Vincent and Jamaicans while those whom were educated and raised here are passed over in favour of those other nationalities. Greater care should be placed and a quota implemented for those countries named above. We cannot have 60% Dominican, 25% Jamaican with belongers/bvi residents making up the minority of less than 25% of our local Police force! I dare the media to investigate this perplexing issue and let the public know the composition of RVIPF. Even when locals apply, they don't want them, I know this from experience. Do Virginislanders always have to be in the minority? At this time the recruits should be made up of Virginislanders and Belongers only. Why do we have to inject Phillipinos and Dominicans in the force at this time? Is this a point to get status? Will any of our people be recruited as police officers in the Phillipines or Domican Republic? Until the force is made up of nationals there will always be problems. Do all the recruits know the history of the islands and people? Only in BVI can some things happen. A police department should reflect the communitt they serve. There is a large Filipino and hispanic population here. If you come to my country you do not have the privilege of deciding that police must be representitives of population. No one asked you to come. You fit in to the community.